Today I’m sharing a very simple look with you. I wouldn’t necessarily say this is a go to look for me but outfits like this pretty much sum up my personal style. The focal point is definitely the tartan print double breasted sports coat. 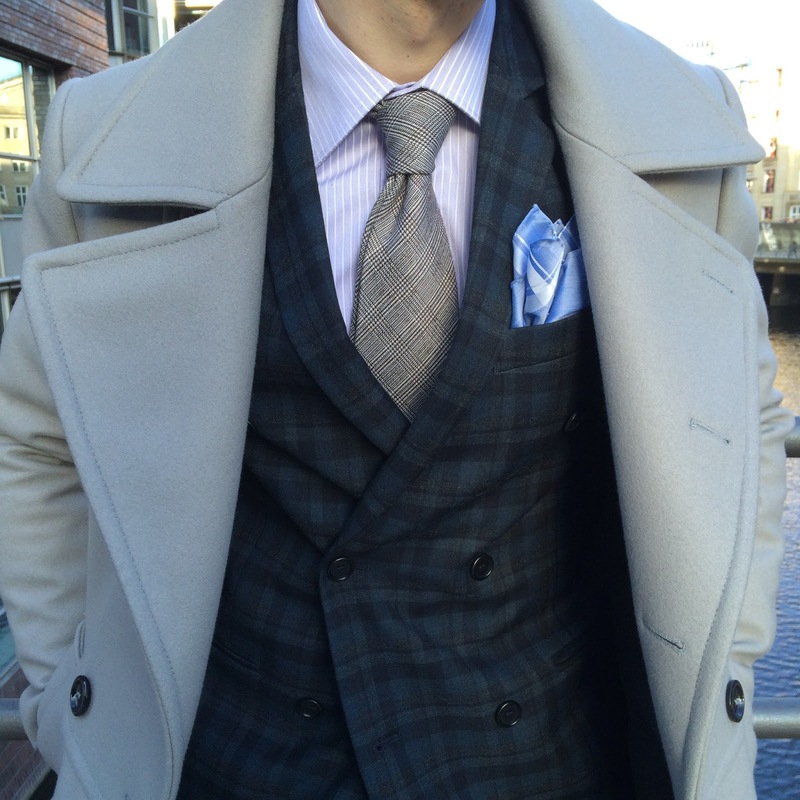 I love the look of double breasted blazers and suits but they also have an added advantage in the winter. When buttoned up they do a really great job of covering your chest and preventing your body heat from escaping. I played with patterns a bit and wore a striped shirt that contrasts very nicely against the tartan jacket and because of my friends over at Bows-N-Ties I’m wearing this great silk/wool blend glen check tie. 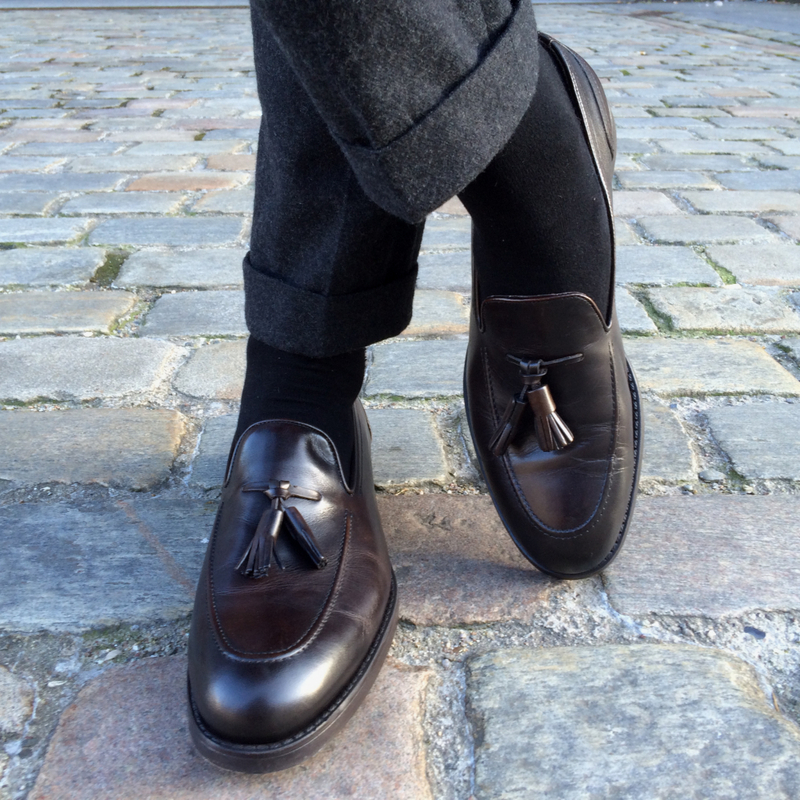 As some of you may already know loafers (and monk straps) are my favorite style of shoe, so for footwear today I decided on a brown tassel loafer. Sticking to the double breasted theme, I bundled up with a double breasted over coat. It’s also the first time I got to take these round lens sunglasses from Trussardi out of their box. I’m still not entirely sold on them yet. What do you guys think? I hope you enjoyed and thanks for stopping by! Here's another outfit I wouldn't mind wearing Justin! Perfect and so chic! Great shoes! Also love those matching portfolio and sports coat. so trendy! Stunning!! 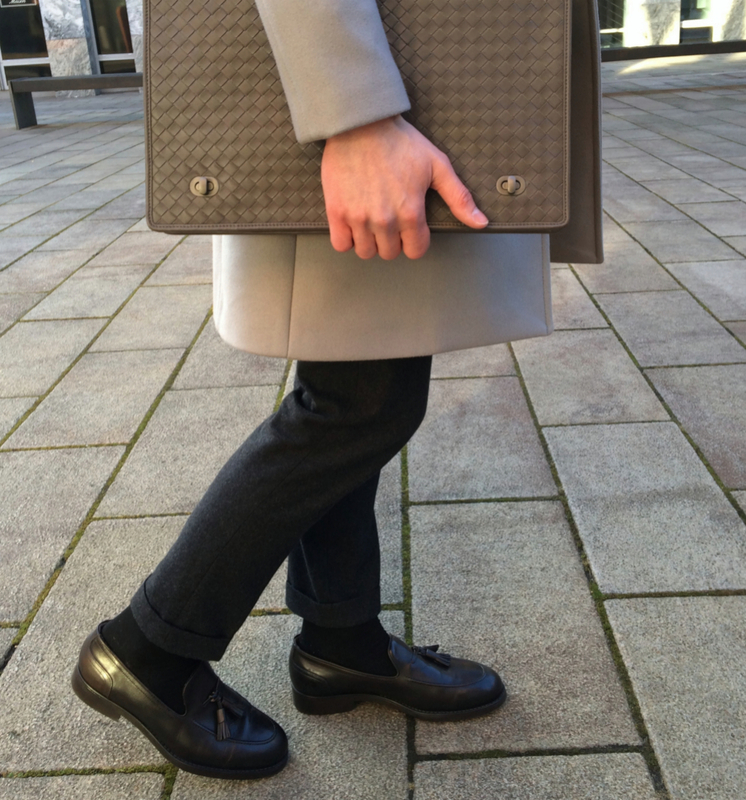 Love the portfolio/shoes. You're style kind of reminds me of Chuck Bass from Gossip Girl & I'm kind of obsessed. you look so incredible chic and sharp in that look! your style is very elegant !!! I love your outfit, so elegant and perfect!! So dapper! You have amazing style! You do look great and that tartan print coat is absolutely fab! 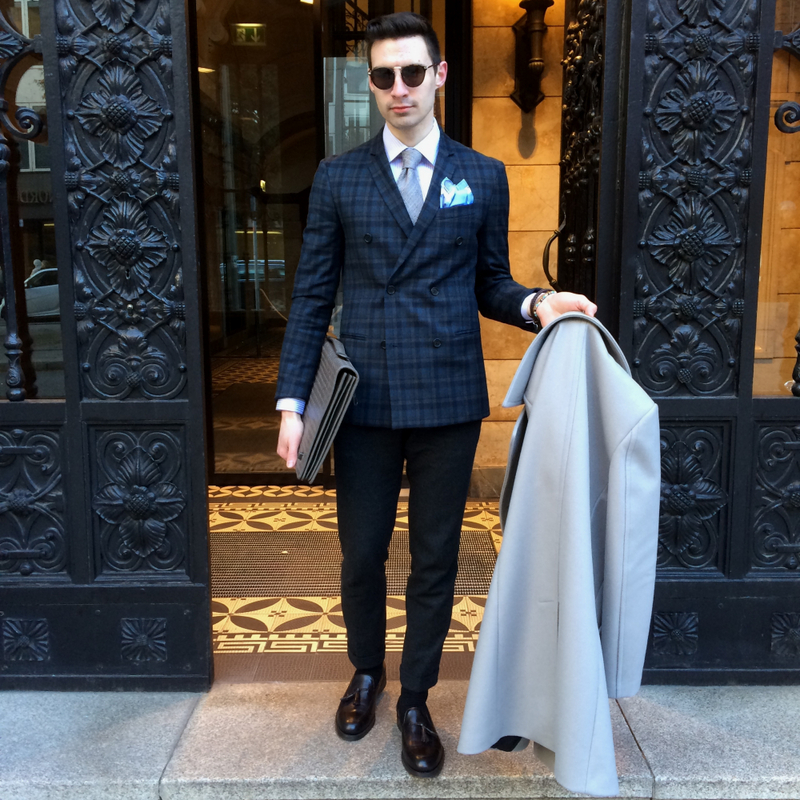 The suit is amazing, but the idea to use this sport coat is really brilliant! this look is so sharp !!! you look toooo handsome !!! love your blog !!! amazing amazing !!! I absolutely love this look. 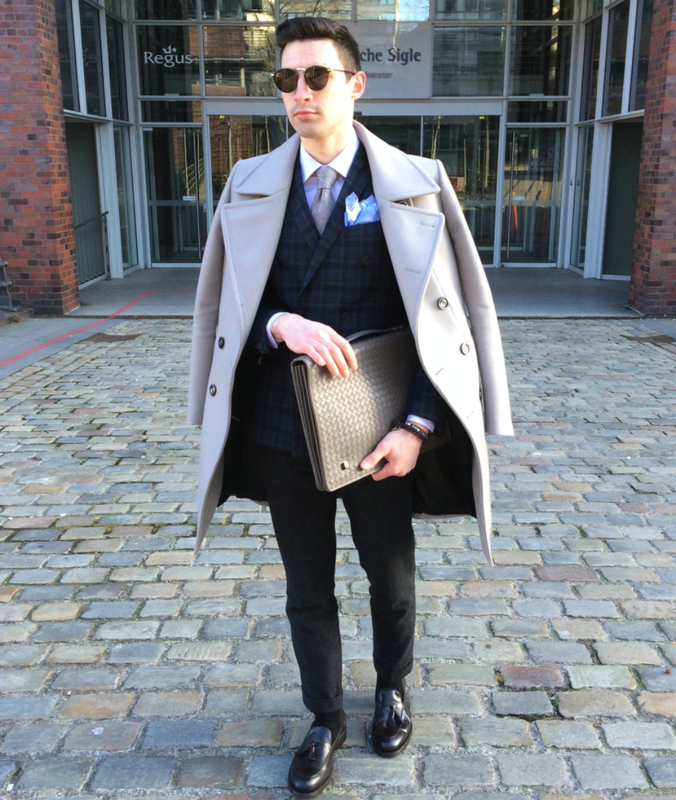 The coat and the loafers are perfection! So gentleman !! nice outfit. The glasses really look good with your overall outfit. As always, you look absolutely fabulous! I love your shoes and that tie is so cute! 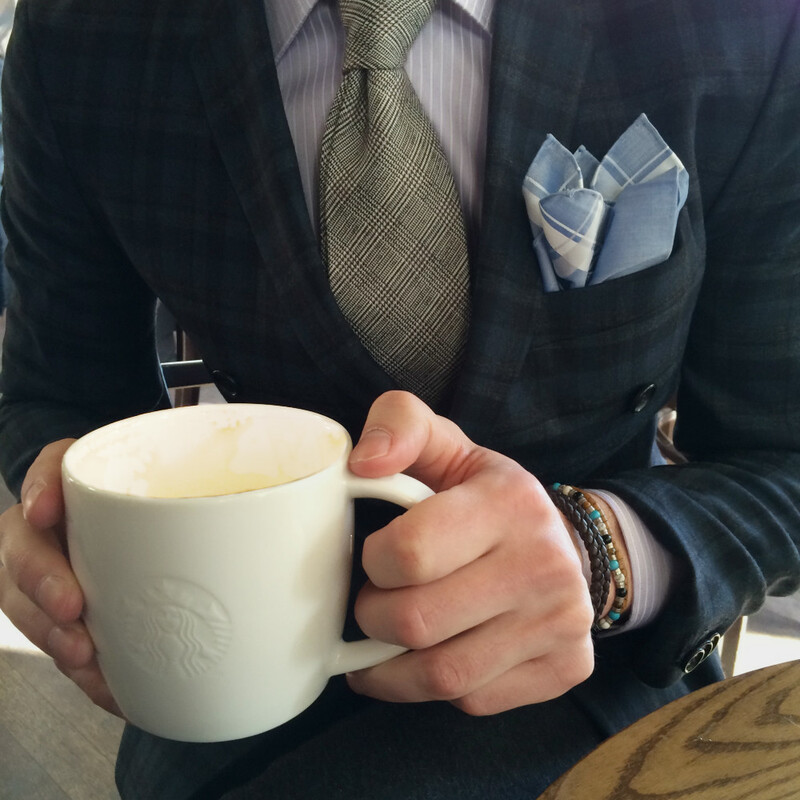 love the way you accessorized your outfit! Wonderful!! You look endlessly classy and chic! In love with that look. 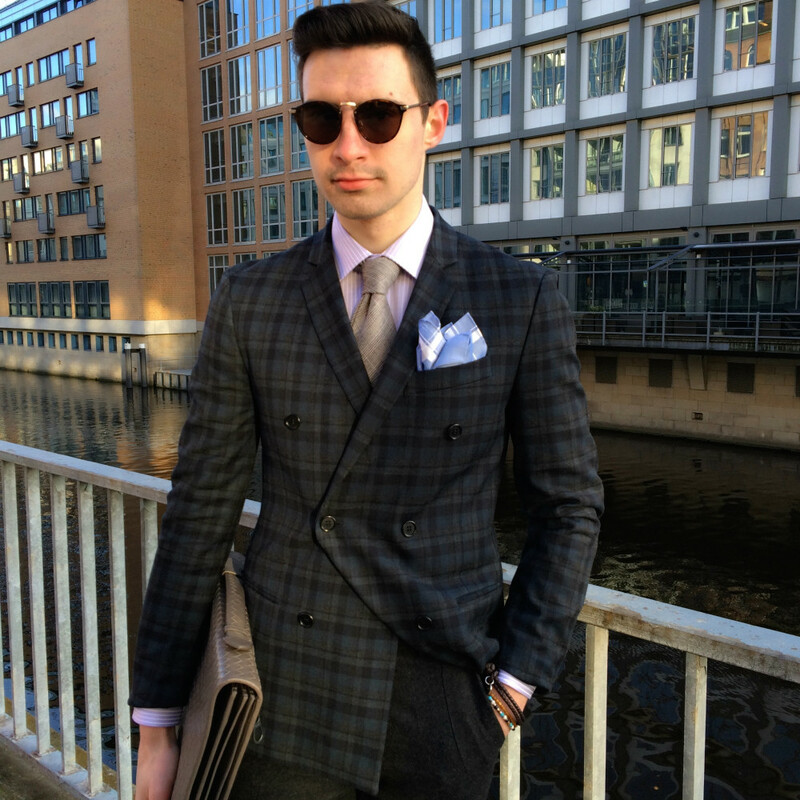 So dapper - especially love the Bottega. You know I adore your sophisticated & dapper style right???? Wow stunning combo! You have great sense of style and look amazing! This is the perfect outfit! You look very elegant, love your outfit! Once more I like your shoes! Seems you have a large collection. Really nice look!!! So apt for winter! Such a smart looking man!